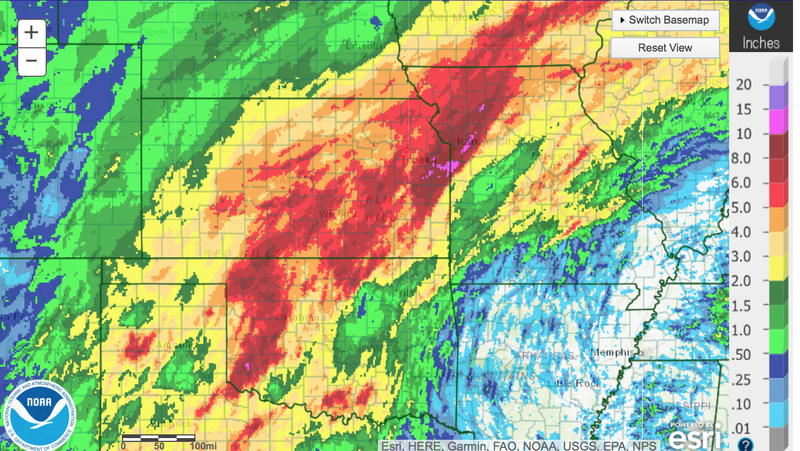 Here is the storm total rainfall to 7am this morning. The purples are amounts of more than ten inches which have occurred in some of the southern and eastern suburbs of Kansas City. 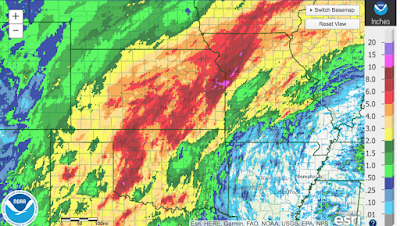 Note: I notice the Blue and Little Blue River forecasts in the KC area are NOT updated. I suspect there are going to be some major rises forecast. 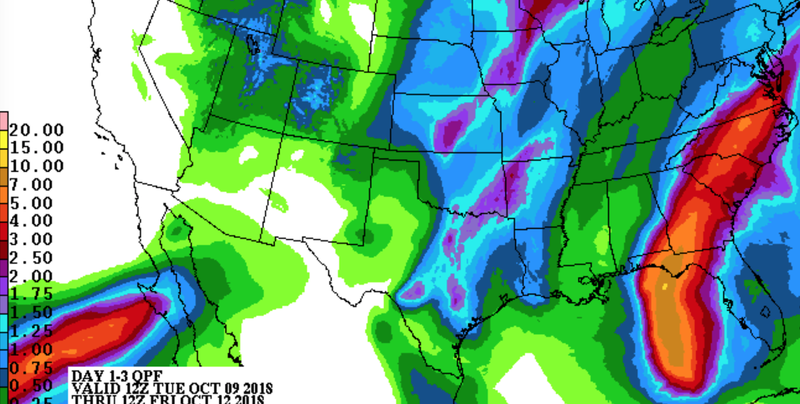 While you can see the track of the heavy rains from Hurricane Michael in the Southeast, let's focus farther west. Two more inches are expected in central Kansas where some spots have experienced 7-8" already. 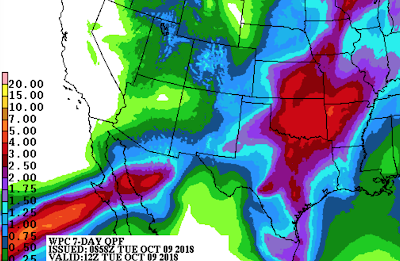 Note the area of rain ending in Baja. See next map. The swath of rain from Baja to the Ozarks is the remains of Hurricane Sergio. It will bring another 2-5" of rain (at little more in spots) on top of the already saturated ground and with rivers already flooding. 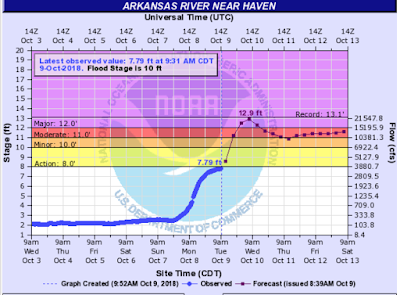 I am especially worried about the Arkansas River and its tributaries. So, it is likely the flooding is going to go from bad to worse. Stay tuned. 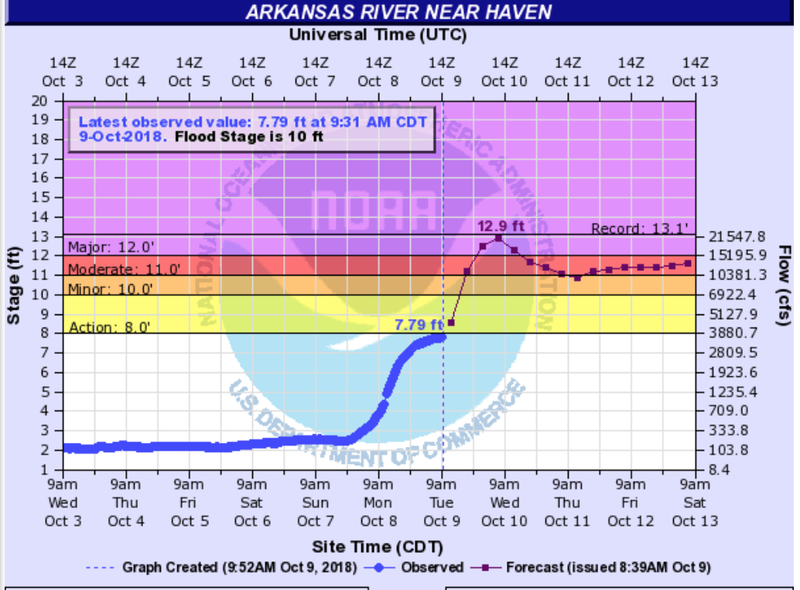 One more thing, the Arkansas River at Haven, Kansas, is going to flirt with its all time record flood stage.